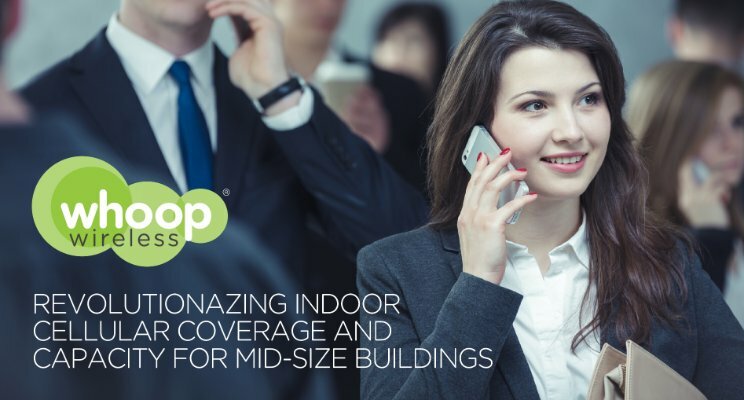 The evolution of indoor coverage and how Whoop Wireless plays a big role in mid-size buildings with the New 10-4 SCI Small cell Interface. As a 35-year veteran wireless trail blazer, experienced in military, GPS, and commercial network developments, I can bear witness to the continuing evolution of information being available or sharable on demand wherever and whenever a decision is being made or an event is taking place. Back when we had “car phones”, in the 90’s, commercial wireless network providers began their service offerings to traffic on roadways, then they migrated to outdoor population centers and subsequently indoor population centers, which caused a silent revolution to take place. The revolution was that the majority of wireless traffic moved from outdoors to indoors, and the majority of network problems (blocked or dropped sessions) occurred during attempted indoor use. In fact, indoor usability became the largest factor in creating churn among the wireless service providers (WSP’s). Each WSP approached the indoor customers differently; some put transportation centers at a higher priority than sports arenas, some put residential customers at a higher priority than business customers. However, by the mid-2000’s, providing ubiquitous coverage meant including indoor space as part of everyone’s strategic objectives. By 2010, demand had exceeded supply, and at one of the DAS conferences the following year, AT&T bragged about getting 1,000 venues on the air in a year’s time …then they alerted us to the fact that while they were executing on the 1,000 venues, requests had come in from 3,000 more. The WSP’s simply could not and cannot keep up with the demand for high quality, ubiquitous in-building service. The demand for service continues to increase, especially in the data domain. HD calls, the Internet of Things, our increasing passion to share our experiences combined with the business world’s need to always be connected to opportunities are among the forces expected to drive data demand up 100-fold in the next 5 years. In larger venues, where the WSP’s have provided solutions, the dominant DAS technology used fiber optic subsystems as their distribution back bone. These systems are exquisite for distributing capacity from multiple service providers over millions of square feet and to thousands of subscribers at a time. However, if you typically spend your indoor time in buildings of only tens or hundreds of thousands of square feet, with populations in the hundreds, you are likely in a wireless environment with a less than 40% satisfaction quotient … until now. The small cell juggernaut has finally arrived and with it a wireless distribution system specifically designed to serve small cells in small buildings. Small cells with their self-contained antennas may be able to do stand-alone hole filling in the macro network, but indoors where ground planes isolate the floors of the buildings and walls and furniture obstruct signal propagation, the small cell solution needs an array of remote amplifiers to ensure indoor coverage ubiquity. This is the specific objective of the Whoop Wireless Small Cell Interface (10-4 SCI) and companion Amplifier Array Elements. This system is more than just a DAS, it is a platform that is modular, expandable, and evolutionary for the next five years or so. The new Whoop 10-4 SCI will support 3G legacy services, a 4G offer from all the WSPs in all the bands now while allowing subsequent capacity to be added by sector and carrier as demand increases without adding infrastructure. Plans are already in place for a 5G daughter board that will support additional frequencies. Wireless service is not a luxury, it’s a business necessity. From folks at home in the evenings in their apartment building, to the physician in the hospital making rounds, to the salesman visiting a client, now more than ever the call or the information must get through. Now, with the new small cell interface from Whoop Wireless (10-4 SCI), enterprise buildings of all sizes can experience truly ubiquitous commercial wireless service.